Chrichton's World: The Descent: Part 2 (2009): As sequels go pretty decent, but no real surprises! 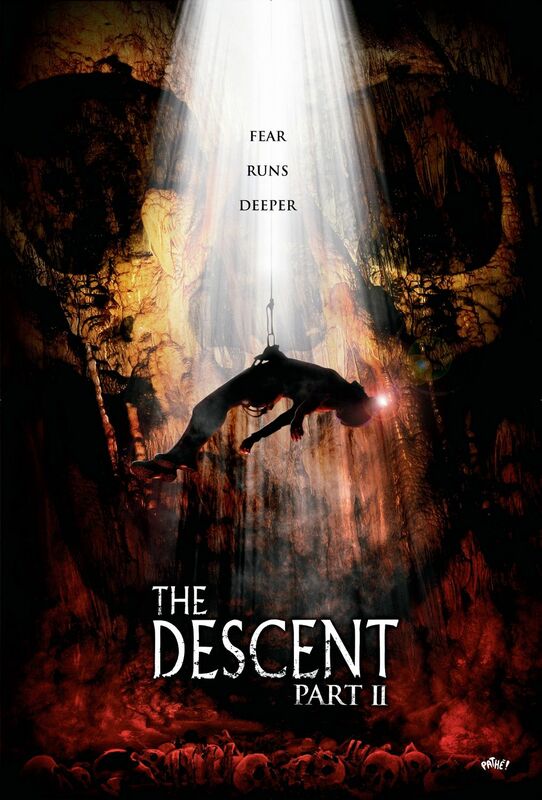 The Descent: Part 2 (2009): As sequels go pretty decent, but no real surprises! How is it possible that this sequel even exists? Wasn´t the original nicely concluded? Maybe not ideal or a happy one but concluded nonetheless. Well, they worked around that by simply ignoring the original UK ending. Was this a wise decision? Let´s find out. For the most part this movie stays true to what was setup in the original and tries to expand on it a little further. Just barely mind you. There is one sequence that was satisfying for the fans but will be lost on viewers who have not seen the original. It brought a smile to may face and I commend the director for bringing back a popular character. Pretty bold although I did wish he would have done a little more with it. Unfortunately that is the only refreshing thing director Jon Harris has come up with. Everything else is a rehash of what occurred in the original. Only this time the stupidity of some of the characters is even higher. Sherrif Vaines is bound to get on your nerves with his cowboy mentality. He seems to be a walking contradiction. On the one hand he wants to find and rescue the missing people but on the other hand can´t show any sympathy for main character Sarah. He doesn´t care one bit for her trauma and forces her to go into the caves very shortly after she found her way out. Now I do think that her amnesia was very convenient since no sane person would go back to those caves. Still pushing someone who is not entirely fit and stable is very irresponsible behaviour and just plain stupid. Then again it did give me some pleasure to see where he is proven wrong. There are some considerable changes, The creatures look different and aren´t as scary as before. The setting also seems less claustrophobic even when it is claimed it´s the same setting. Fortunately the direction is tight enough to not give you chance to worry about that too much. The action also is very solid and gory. But I do have one bone to pick with this sequel. It´s ending. It felt rushed and very pointless. It almost fell like an excuse for another sequel but I am glad this never was actualized. Overall I think this is a decent sequel but it´s more of the same with only one real surprise. Well worth your time especially if you have seen the original.